When: Sat., April 27, 7:30-9:30 p.m. In celebration of multiculturalism and diversity in American history, NAT 28 presents Creation/Preservation. 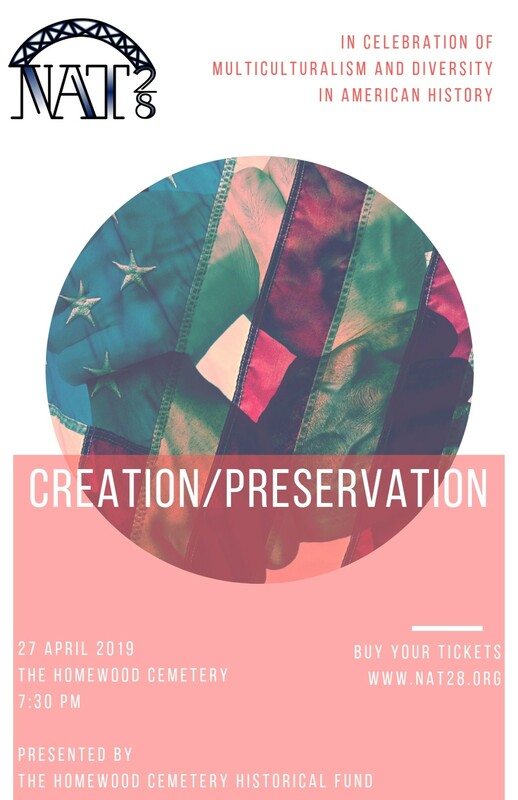 The concert is presented in collaboration with The Homewood Cemetery Historical Fund as part of a series of performances which take inspiration from the Cemetery's history. NAT 28 recognizes that a cemetery is a cultural expression which provides a vivid look into the history of its surrounding city. The Homewood Cemetery's history reflects the multicultural history of Pittsburgh, and preserves the stories of those who inhabit it.